Guernsey’s leading builders’ merchant, Norman Piette, stays at the forefront of the industry by keeping up-to-date with the latest construction technologies. Its website, however, didn’t reflect the company’s modern outlook and was unable to showcase the huge range of services and products they offer. 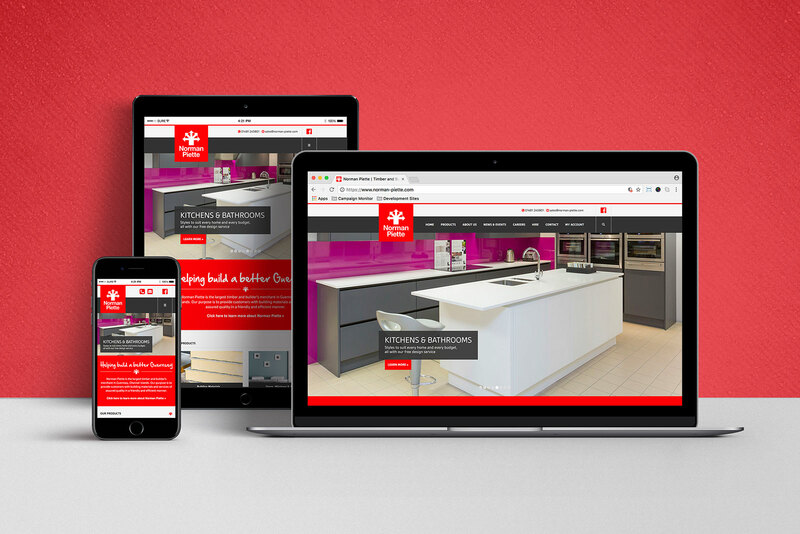 We were asked to design and develop a new website that would meet Norman Piette’s growing digital requirements and provide customers with a more streamlined way to source the products they need. Our design is clean and contemporary to reflect the ethos of Norman Piette and the quality of the brands they supply. The navigation is intuitive and allows vital content to be prioritised, while being easy to read and providing a positive user experience that will encourage customers to return. The site has been built on a simple to use CMS platform and is fully responsive.